The quality and purpose of any online app are justified by the kind of features present on its UI. Appkodes readily available script for online rental booking business is pre-equipped with all requisite features which you may think as needful to setup your online rental business. 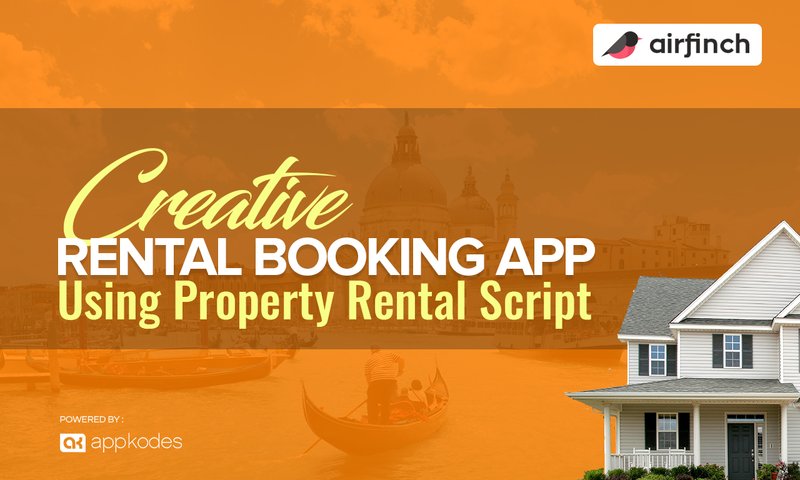 This rental script from Appkodes is not only suitable for the online house rentals but also for any kind of online rental business you prefer to do. On online rental accommodation bookings, Rental owners on their time of vacation will list their home for rent to the vacationers on their city. The same is for the travelers they will list their home for rent on their vacation and will prefer to book a home for rent on their place of vacation. These needs can be efficiently met by Appkodes’s script and it has the right features for it to guarantee the best UX. Themes- By default, it has got an attractive UI but according to your preference it can be changed. Payment gateway- This script by default have Paypal as payment for payments but it can be changed as per your wish. Integrations- Integration modules can be added or removed as per your wish on any needed time. Appkodes’s property rental script-Airfinch is the best readily available solution on market to instantly turn ideas for rental booking business into profitable action. So avail Airfinch to view your business go live instantly on the web, ios, Android apps.